SEOUL, South Korea (AP) – North and South Korea held military talks on their borders on Friday to discuss the implementation of a sweeping military agreement last month to reduce tensions. South Korean Major General Kim Do-gyun Before the meeting in Panmunjom, it was said that the discussions would involve the establishment of a joint military committee to maintain communication and avoid crises and chance clashes. The proposed committee is one of many inter-Korean commitments enshrined in the military agreement reached on the sidelines of a summit between North Korean leader Kim Jong Un and South Korean President Moon Jae-in Pyongyang last month. The talks came a day after the Korean and US-led UN forces had completed the removal of firearms and troops from a jointly controlled area in the border village. 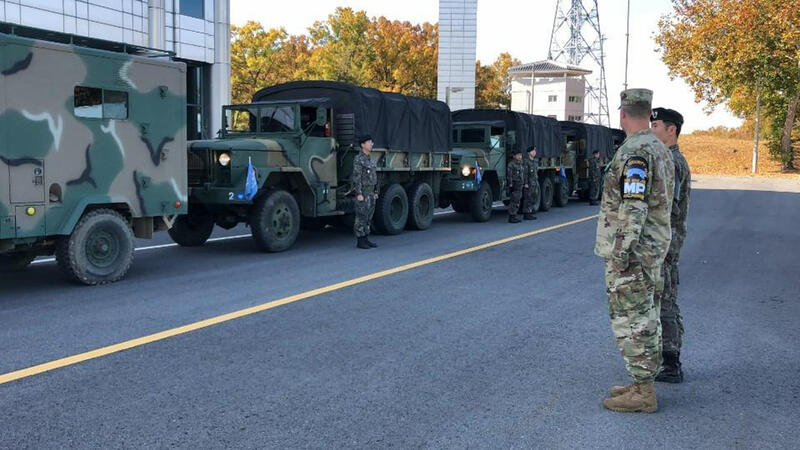 The Koreas have also cleared frontier mines and are planning their very first joint search for remnants of soldiers killed during the Korean War of 1950-1953. Moon has described the military agreement as an important confidence-building move that will reduce tension and create more room for major US-led negotiations.